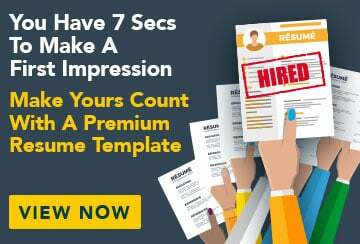 This free sample cover letter for a bookkeeper has an accompanying bookkeeper sample resume and bookkeeper sample job advertisement to help you put together a winning job application. I wish to apply for the position of Bookkeeper, as advertised recently on the Giorgio Designs website. I have been working as a bookkeeper for over almost two years for Alline Timber, having completed a Certificate IV in Financial Services (Bookkeeping) by distance education while working in my previous job as Office Manager for Tribute Music Studios. During my time as a bookkeeper for Alline, as well as during my previous experience in office administration, I have had to develop and maintain strong organisational and time management skills in order to efficiently manage company finances and accounts payable/receivable. Throughout my employment history, I have learnt to juggle both financial and bookkeeping responsibilities with general administration and customer service tasks. This has also helped to develop my organisational skills and has strengthened my ability to multitask. Working for small and medium-sized companies, I am proficient in using MYOB software for managing company payrolls, accounts and financial statements. I have also had extensive experience in using Microsoft Office and have a typing speed of 105 wpm. I have been commended by employers for my sharp eye for detail, and in all of my jobs have identified areas where the company could save money and improve efficiency. I am also interested in fashion and fashion photography and am an avid follower of fashion trends, making me an ideal match for your company. My interest in photography has developed my eye for detail, which I utilise in my day-to-day work.